As a paralegal, Brianna assists the attorneys with legal research, reviewing and analyzing case documents, and preparing pleadings and discovery. 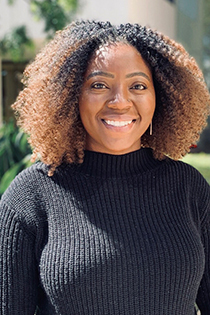 Currently, Brianna is finishing her master’s degree in history, while also serving as the editorial assistant intern for the prestigious academic journal The History Teacher. Brianna also works as a writing tutor at California State University, Long Beach where she guides undergraduate students through the process of writing essays for introductory history courses. When she is not reading fantasy novels, she enjoys binge watching her favorite television shows and spending time with her friends, family, and fiancé.